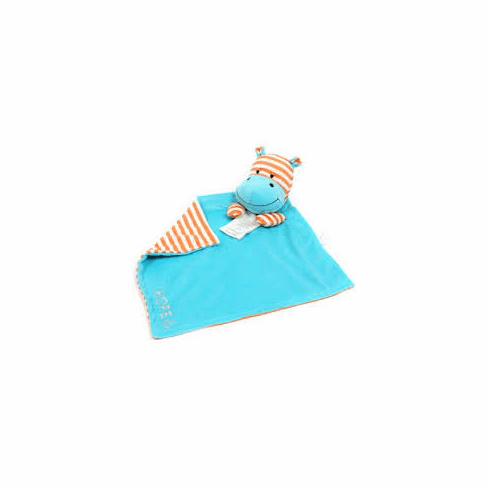 Hope Hippo Poetic Plush Mini Blanket measures 14 inches by 14 inches. The blanket is embroidered with the word Hope and an anchor symbol. The keepsake hangtag includes a poem by Barbara J. Holt - "Baby dear, your sails are set for the joyous trip called life. May you always find brisk winds, a guiding star and safe harbor." Personalization free with purchase.